WQHA District Meetings will be held on Wednesday, October 5th at 6:30 pm. 2nd Annual WQHYA’s Nutrena feed bag fashions help raise funds for Wisconsin Youth Association! The Nutrena® feed team, again teamed up with the Wisconsin Quarter Horse Youth Association (WQHYA) at the Cap Gun Circuit held in Madison, WI to help raise funds for the youth association. Youth members were charged with creating “feed bag fashions” using recycled Nutrena® feed bags and highlighting them as part of a fashion show held in conjunction with the Saturday night exhibitor’s party. Join the American Quarter Horse Association from June 25 to July 2 for a week of fun at Cross Country Trail Rides in Eminence, MO. Participate in a ranch riding and trail challenge clinic, compete in a trail challenge and take advantage of the onsite AQHA booth. Click here to read about the fundraiser. A statewide effort saw two pavilions added to the Alliant Energy Center Campus, home to three Wisconsin Quarter Horse Association shows. Please find attached an exciting opportunity to be part of history as Alliant Energy Center get ready to open it new Livestock Pavilions. This is a limited one time offering so don't miss your chance to be on the wall of fame. Improve your next AQHA-approved horse show with effective management techniques. The AQHA Professional Horsemen Association is an elite group of trustworthy horse experts. David Dellin is currently looking for participants for his 2014 Midwest Horse Fair clinics. The newest AQHA approved class, 'Ranch Pleasure' made its Wisconsin debut at the WQHA State Show in Oshkosh over the Labor Day Weekend. SmartPak and Nutrena are the title sponsors of the 2012 AQHA Novice championship shows; additional sponsorship opportunities are still available. AQHA features a special format of shows - introductory shows - to allow exhibitors to get their feet wet in AQHA competition. Just for you, from Quarter Horse Outfitters! Cool New Arrivals for the HOT Days of Summer! 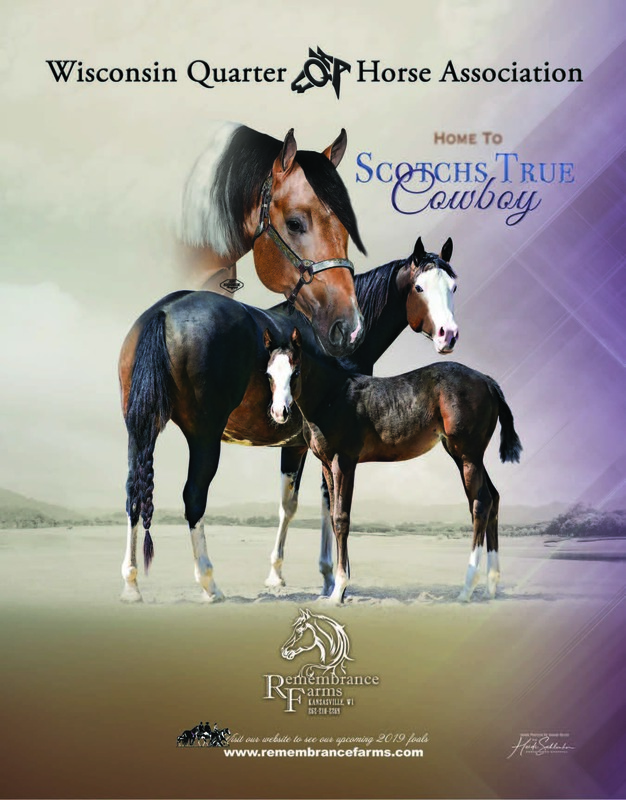 AQHA members can save and stay up to date on the industry’s most trusted publication! The American Quarter Horse Journal has been the world's largest single-breed publication and for more than 60 years AQHA members have trusted the Journal to provide news on critical issues, and current events. The old the expression as "healthy as a horse" refers to horses being a symbol of robust health. Now AQHA members can live by this cliché when you take advantage of several discounts, on horse health related products from AQHA Corporate Partners. The Wisconsin Horse Council will be hosting their annual end-of-the-year Championship Challenge Open Show on September 8, 2012 at Heartland Stables in Custer, Wisconsin. Pixys Showdown (Pixys Tailwind X Hills Red Bird) was born on June 20, 1979, more than 32 years ago, at Tom and Carol Klamrowski's Horseshoe Springs Ranch in Fond du Lac, Wisconsin. The Wisconsin Quarter Horse Association Scholarship program is supported and funded by donations within the Association and also from generous donations from the Community. The Friday night rodeo, which has been a Midwest Horse Fair® favorite for many years, will again return for the 2012 event. Al Dunning will be at the 2012 Midwest Horse Fair®. Al has owned and operated "Almosta Ranch" in Scottsdale, Arizona since 1970. Leonard Berryhill will be performing at the 2012 Midwest Horse Fair®. In 1989 WQHA member Bill Goggins was killed in an automobile accident shortly before that year's awards banquet. At the Awards banquet in January Joe Spak had the honor of recognizing a member whose actions contributed to the enhancement and advancement of WQHA last year. Changes are announced regarding the number of horses a competitor may show at an AQHA-approved show. The 2012 AQHA Regional Championships are gearing up with Regions One through Ten having submitted their show dates and locations. AQHA announces the point ranges for leveling program classes held at two test shows in 2012. Recognizing that animal welfare is the single-most important issue facing the equine industry today, the American Quarter Horse Association Executive Committee has appointed the 12-member AQHA Animal Welfare Commission, which met February 6-8, 2012 in Dallas. With a great year of showing in 2011 Tom Gruszynske and 'CK Clu Kid' have earned the American Quarter Horse Association Rookie of the Year Award for the state of Wisconsin and were top ten at the Amateur select World Show.